Reality check: conducting industry analysis doesn’t have to be complicated or time-consuming. In fact, it’s arguably easier than ever. And we have social media to thank for that. Whether it’s competitor activity or trends dominating your space, industry analysis through social media provides real-time insights for businesses. The takeaway here is that social media is a prime place to conduct industry analysis. If you want a better understanding of what your competitors are doing or what your customers want, the information is out in the open. That is, if you’re listening for it. What is industry analysis, anyway? Industry analysis involves researching your target audience, competitors and customers to uncover relevant product and content insights. Social media manages to highlight the happenings of your industry in real-time without any sort of filter. Want to know what your competitors are promoting? Curious about what your customers are buzzing about? Chances are you can find the answers in your social feed. Just as consumers adopt trends at a break-neck pace, businesses are expected to keep up. Think about industries like fashion and food which are so time and trend-sensitive. 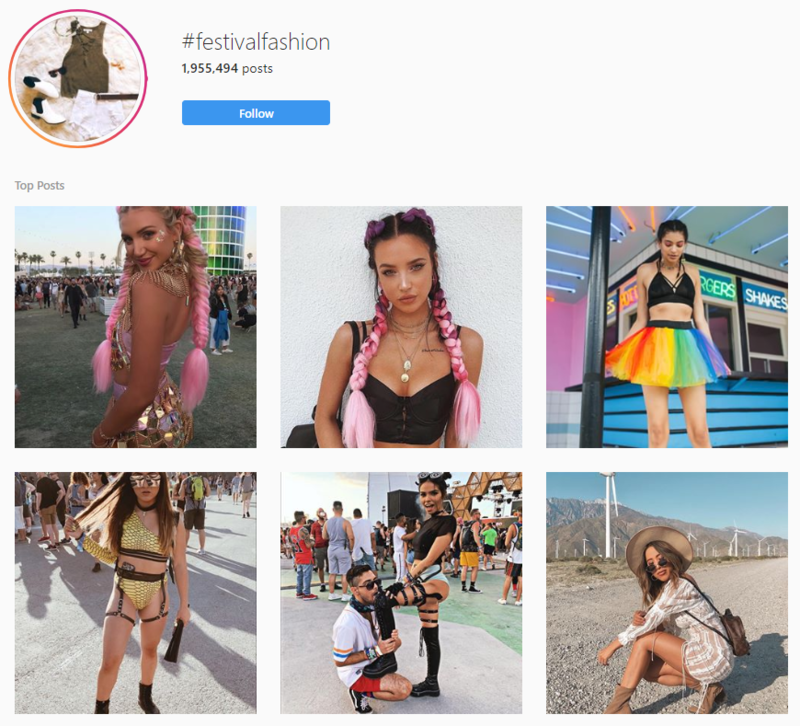 Whether it’s the latest festival fashion or the milkshake IPA craze, brands that don’t have a pulse on the social space are definitely missing out. Social media industry analysis isn’t just about what your competitors are doing, though. To figure out where you stand in your industry, it’s crucial to look inward. This means digging into customer insights to see what you’re doing that’s winning over actual buyers to uncover new trends as well. When people think social media, they often think “likes” and follower counts, right? What products is your audience currently interested in? What are the challenges and desires of your audience? Where do you stand versus your competitors when it comes to addressing the two points above? Although there are benefits to reading through in-depth reports and white papers, social media has its own distinct set of advantages for industry analysis. Here’s a quick breakdown of why modern companies need to mind the social space. Authenticity. Again, social media allows businesses to engage with actual customers with real desires and challenges. You don’t have to second-guess what your audience wants: they’re more than happy to tell you directly. Accessibility. The amount of data available via social media industry analysis is absolutely staggering. Popular products? Your competitors’ content strategies? Sales objections and opportunities? They’re all available via public posts across social. Timeliness. This is perhaps the biggest benefit of social media industry analysis. Whereas more time-sensitive research or analysis can date itself quickly, social media highlights real-time insights and conversations. The beauty of social media analysis is that there are endless conversations to analyze. Therein lies the challenge, though. How do you see the forest through the trees? Below are some key steps to conducting industry analysis and how businesses can tap into their most valuable conversations. Industry analysis involves looking at both competitor and consumer behavior. Social media allows you to dig into both simultaneously. For starters, following companies and industry publications on LinkedIn makes sense for both competitor analysis and uncovering how your customers are changing based on data. Here you can track competitor milestones as well as breaking news relevant to your industry. On the flip side, platforms like Twitter, Facebook and Instagram are great for spotting real-life insights and experiences for actual consumers. These networks will clue you in on pain points people are actually facing which can affirm (or challenge) the trends you see from industry players. The takeaway here is that social media industry analysis means being in multiple places at once. Confining your presence to a single platform means that you’re inevitably letting conversations fall by the wayside. This doesn’t mean that you necessarily need to be active on every single social network but at the very least have your ear to the ground across the web. And hey, that leads us directly to our next point. There’s no denying that navigating social media can be daunting, which is why businesses need to hone their search when conducting industry analysis. Not unlike traditional search, industry terms and keywords are a solid starting point. Hashtags are more or less the social equivalent across most social networks. Relevant terms (#fallfashion, #contentmarketing, etc) can highlight trends, conversations and influencers. With the help of hashtag analysis, businesses can spot related conversations coming from consumer and competitors alike. Speaking of competitors, much of industry analysis involves keeping an eye on your competitor’s milestones and content. While follower counts and “likes” certainly matter, they shouldn’t be your top priorities. Following competitors can clue you in on milestones, initiatives and new product roll-outs as they happen. Why are they scoring mentions? How does your positioning compare to theirs? Take for example Herbal Essences’ recent cruelty-free product initiative. This announcement scored them some seriously positive press and resulted in a flurry of competitor call-outs from their satisfied customers. Being aware of competitor activity and positioning as it happens makes it easier for your business to respond and adapt. To help organize your industry analysis efforts, check out our competitive analysis template. Beyond direct competitors, also mind the major bloggers, influencers and publications that cover your industry. For example, competitor analysis tools such as BuzzSumo can help highlight blogs and industry players scoring major social shares. Although these people might be neutral toward your business, their opinions certainly hold weight in your space. This might seem like a no-brainer but your customers are one of your best sources when it comes to industry analysis. They know you. They trust you. And they’re the ones who are going to give you honest, unfiltered feedback on what they want from your business. Besides, the majority of consumers support brands that are open, transparent and honest. Social feedback, whether it be positive or negative, is key to determining where you stand in your industry. That’s why you can’t afford to ignore social mentions and comments. Every shout-out or complaint is a potential data point regarding what your business is doing right or needs to improve upon. 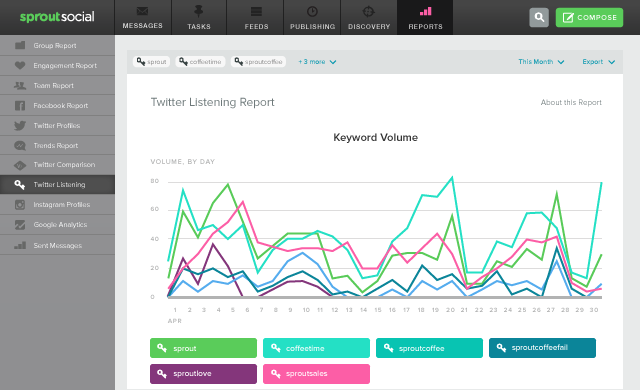 And hey, that’s exactly why social listening goes hand in hand with industry analysis. For the sake of capitalizing on customer conversations and uncovering trends, strategic social listening is a game-changer. Rather than sift through thousands of posts, Sprout can help you conduct industry analysis in the fraction of time it would take to do so manually. For starters, Sprout’s query builder allows you to track mentions and keyword phrases related to your business as they happen in real-time. This analysis includes hashtags, too. In addition to seeing what people are saying about you or your competitors, you can dig even deeper by analyzing your share of voice. In short, you can figure out how your mention volume compares to other businesses in your space. These touchpoints speak directly to how well your brand is engaging its target audience. Just because you or a competitor is scoring a ton of mentions doesn’t necessarily tell a complete story. Because behind every mention of your brand is some sort of emotion. 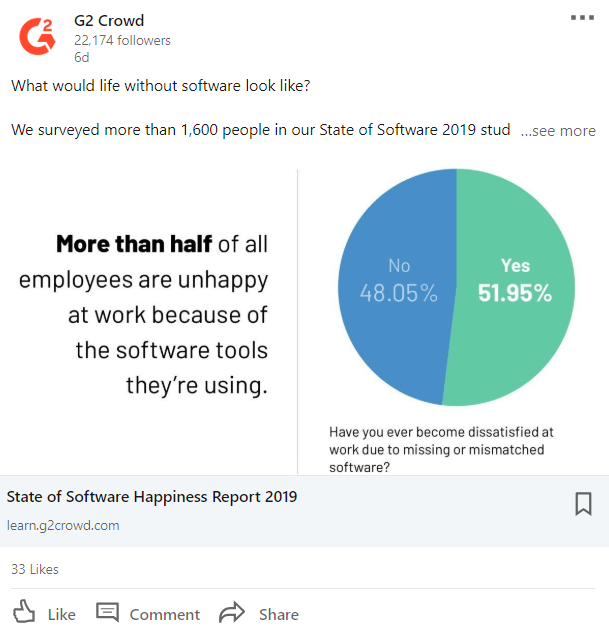 That’s where sentiment analysis comes in handy. 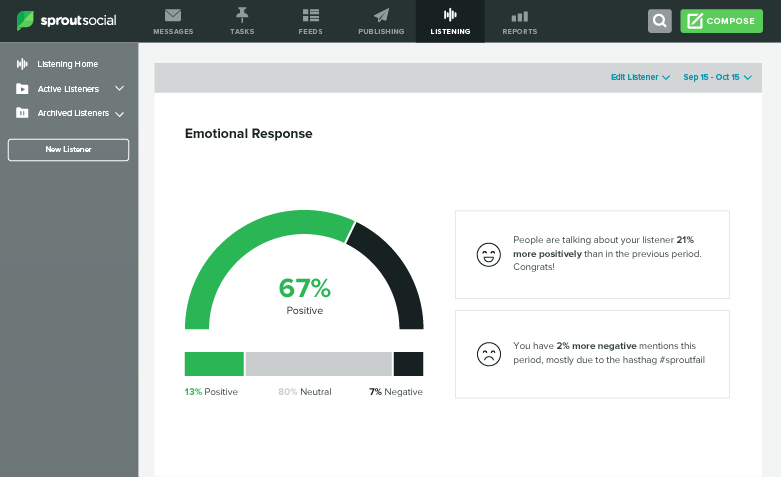 Sprout’s sentiment analysis features track over time how your brand is perceived by its audience. This helps ensure that you’re seen as a positive force in your space and stay in the good graces of potential customers. Likewise, this can help you spot potential problems with your social presence and nip them in the bud. Of course, the end-game of industry analysis is to grow your influence and customer-base. By measuring your engagement volume with the help of Sprout, you know exactly whether or not you’re building buzz or free to push new initiatives. Our social listening performance report lets you know at a glance how your brand is performing and whether that growth is happening. And with that, we wrap up our guide to industry analysis! Ready to conduct social media industry analysis? Through social media, there’s more industry data at your fingertips than ever before. And while there may indeed be a lot of noise, there’s also a treasure trove of business intelligence to gather which can help you stand apart from your competition. Digging through that data means taking a strategic approach to analyzing and listening to your industry’s conversations. 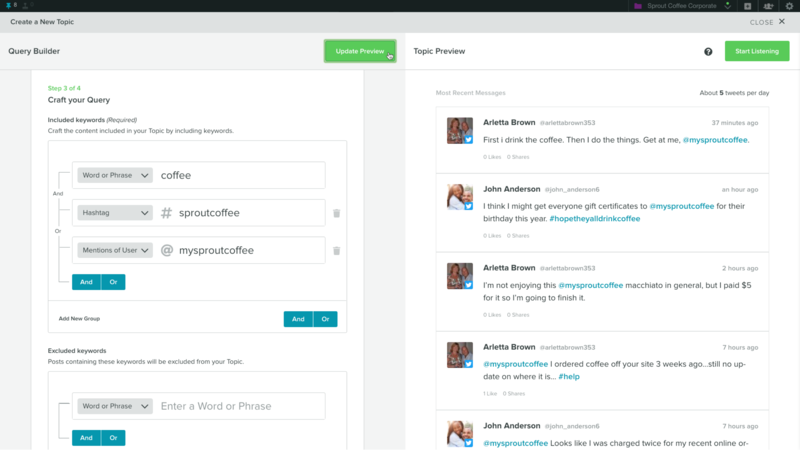 With the tips above and tools such as Sprout, you can translate that data into action.